Lock in a great price for Hotel Pogradeci – rated 8.9 by recent guests! 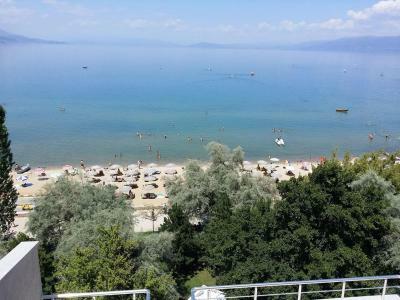 Fantastic lake front location in Pogradec. The hotel was very clean with a friendly staff. 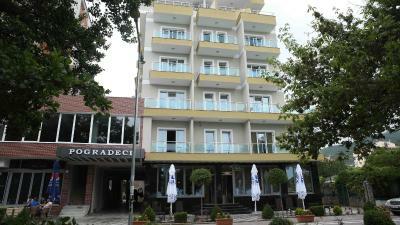 Basic hotel, but it was clean and comfortable. A band was playing in the hotel the night I was there. It made for a wonderful experience. Huge private balcony. 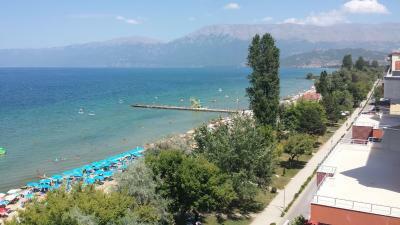 Fantastic view over Lake Ohrid and promenade below. Friendly, efficient, easy to find with sat.nav. Private parking. Wifi good. 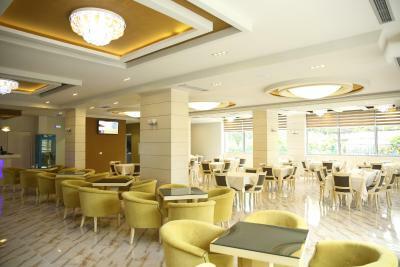 Hotel has a restaurant but there is a large choice of bars and food choices on the lakeside. Late checkout - noon. Lively town. 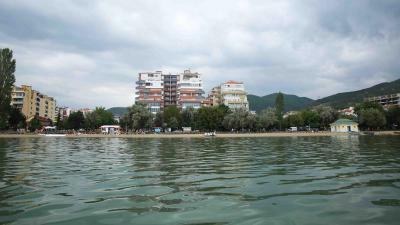 Easy trips into Macedonia - Sveti Naum is very close. 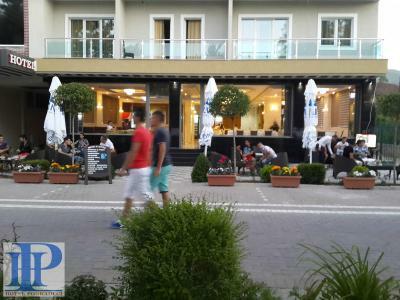 The hotel was right on the lake shore and the promenades. The rooms were spacious and clean. 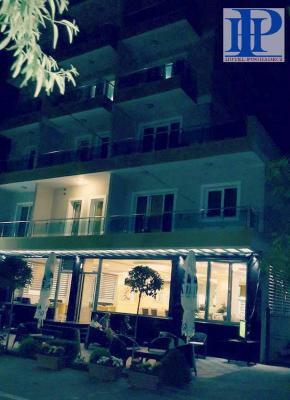 Great location and comfortable accommodation. 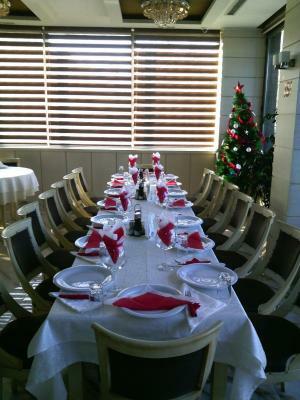 The restaurant was exceptionally good, among the best we had all trip. 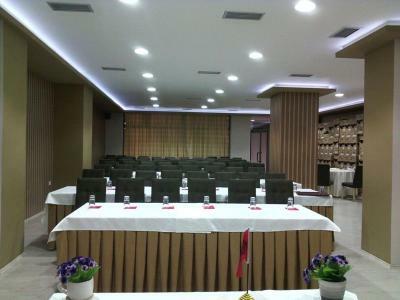 The hotel is easy to find and it has a private parking area with guards. It is certainly a plus, when the other alternative is to simply leave your car outside, which might not be that safe. The view is as good as it gets. Also our room had a separate shower and toilet which can be convenient when you are 4 people sharing the double room. We were also glad to have a decent breakfast included in the price. 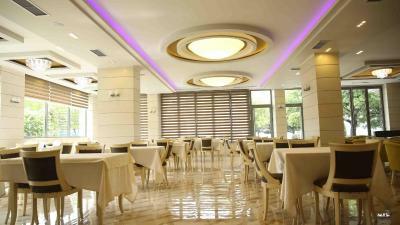 To add it seems that every Saturday night the hotel's restaurant hosts live music and dancing. It is certainly something worth to consider. Quiet, great value for money. Good restaurant. 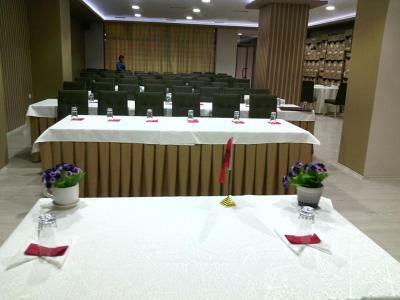 Not up to a 4-star rating but very good for Albania standard. 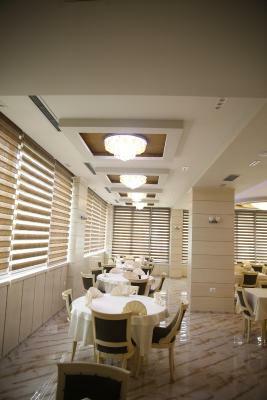 The staff were really responsive and very nice. Location was perfect. Balcony view was amazing. Clean and comfortable. 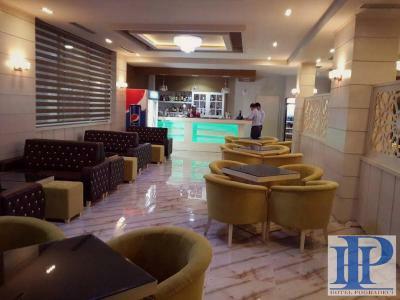 Very nice clean Hotel the staff are very friendly and polit . Also the owners did come and if any help or information need it. 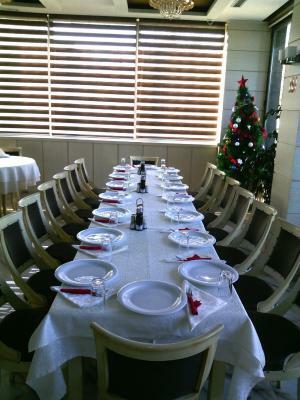 We had a fresh fish cooked in grill or however you wanted to be cooked chef is exelent . 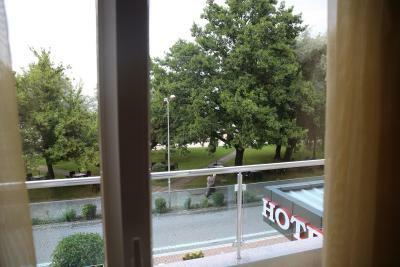 We had a nice clean room with lake view i wiuld live to cime back and stay more. 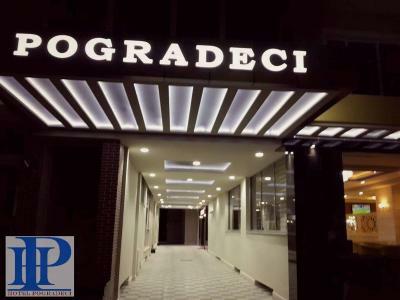 Hotel Pogradeci This rating is a reflection of how the property compares to the industry standard when it comes to price, facilities and services available. It's based on a self-evaluation by the property. Use this rating to help choose your stay! 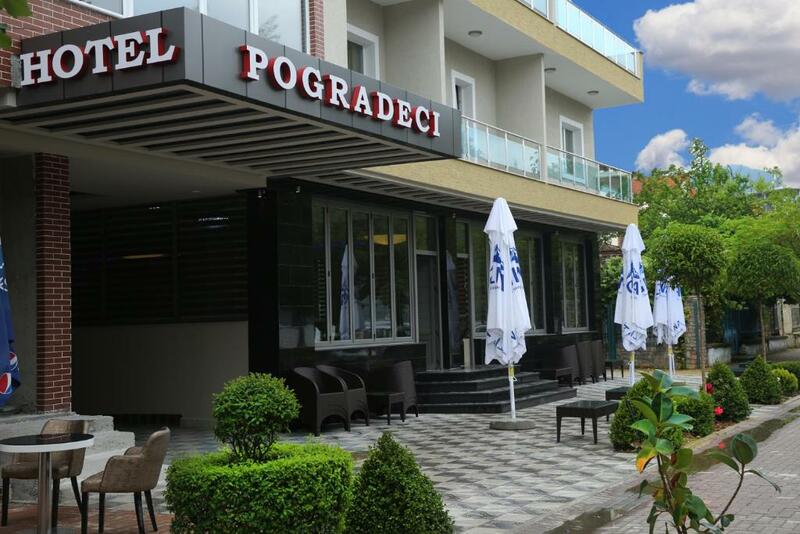 Located on the shore of Lake Ohrid and 1,300 feet away from the center of Pogradec, Hotel Pogradeci provides air-conditioned accommodations with free WiFi access. 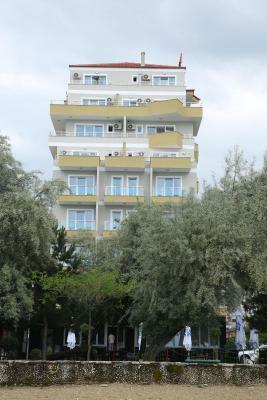 A balcony is available in each unit. 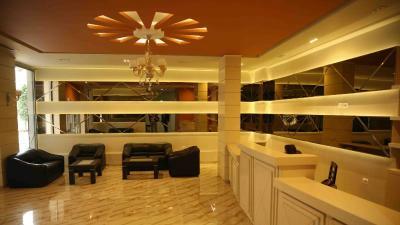 Rooms and suites here come with a flat-screen cable TV, a safe and a desk. The private bathrooms are fitted with a shower and a hairdryer. Free slippers are available. 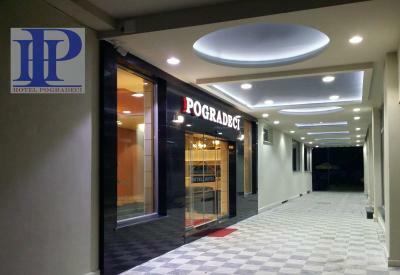 Pogradeci Hotel consists of a restaurant serving international and traditional Albanian cuisine and a bar. A terrace and a garden are at the guests' disposal as well. 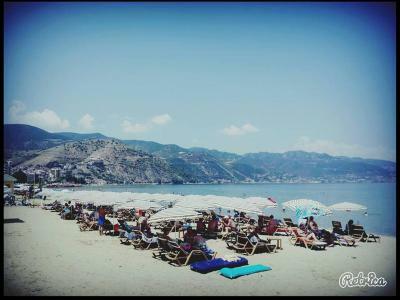 Guests can use the hotel’s private deck chairs on the beach at a surcharge. 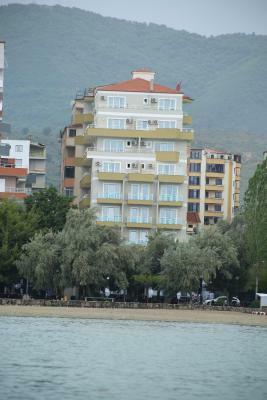 The Pogradec City Castle can be seen from the hotel rooms. Cycling opportunities can be found in the city park and along the lakeside promenade. 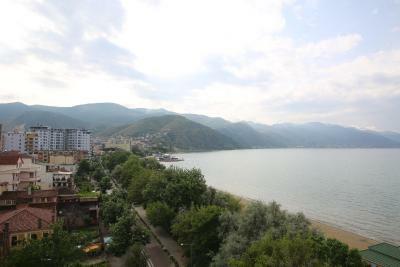 The touristic village of Tushemisht is a 5-minute drive away. 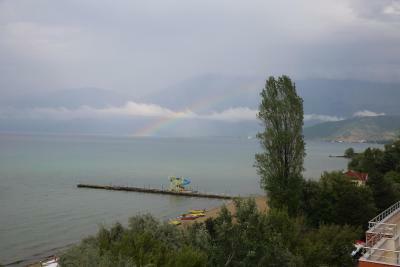 The Prespa National Park can be visited within 25 mi. Free private parking is provided on site. 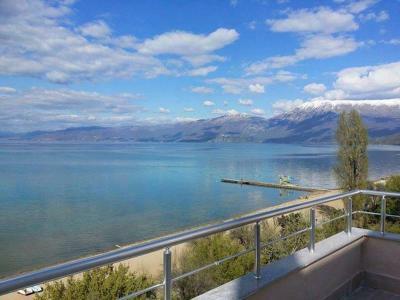 This property also has one of the top-rated locations in Pogradec! Guests are happier about it compared to other properties in the area. 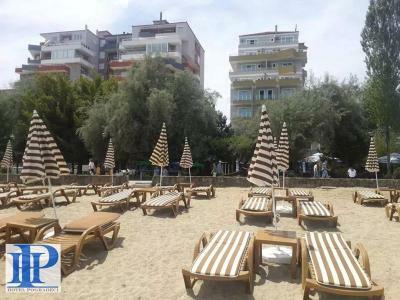 This property is also rated for the best value in Pogradec! Guests are getting more for their money when compared to other properties in this city. 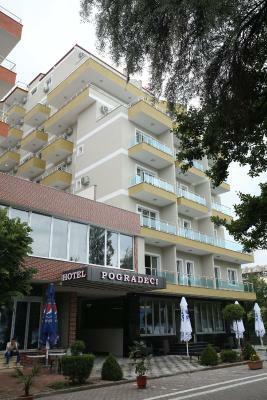 When would you like to stay at Hotel Pogradeci? This suite has a balcony with views of the mountains, lake and city. It includes a flat-screen TV, air conditioning and a private bathroom. This air-conditioned room comes with a balcony. There is a flat-screen cable TV, a safe and a desk. The private bathroom is fitted with a shower and a hairdryer, and come with free slippers. This air-conditioned room comes with a balcony and mountain view. There is a flat-screen cable TV, a safe and a desk. The private bathroom is fitted with a shower and a hairdryer, and come with free slippers. 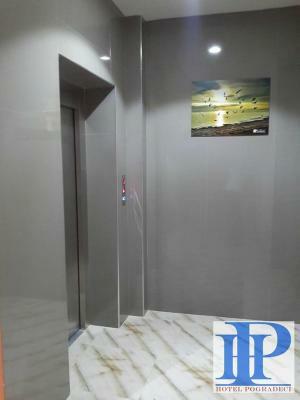 This air-conditioned room comes with a balcony and sea view. There is a flat-screen cable TV, a safe and a desk. The private bathroom is fitted with a shower and a hairdryer, and come with free slippers. This air-conditioned room comes with a balcony and lake view. There is a flat-screen cable TV, a safe and a desk. 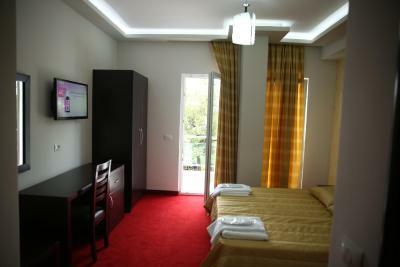 The private bathroom is fitted with a shower and a hairdryer, and come with free slippers. 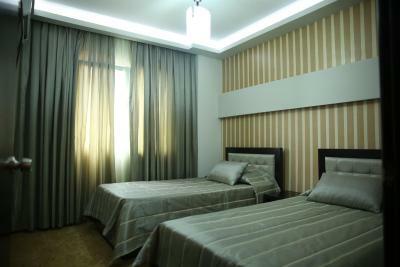 This air-conditioned room comes with a balcony and garden view. There is a flat-screen cable TV, a safe and a desk. The private bathroom is fitted with a shower and a hairdryer, and come with free slippers. 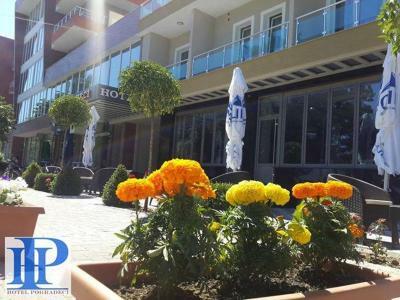 House Rules Hotel Pogradeci takes special requests – add in the next step! Hotel Pogradeci accepts these cards and reserves the right to temporarily hold an amount prior to arrival. Walls were thin, could hear babies throughout the night. Bed should have a matress protector on it to keep it clean/protected. Breakfast was ok, coffee not included. 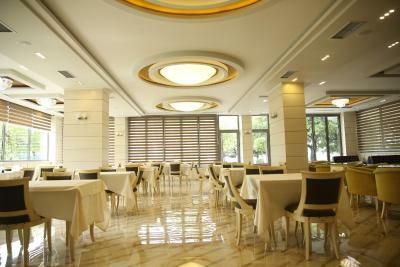 I did not like the very high prices of dinning and service needs more more more improvement. The hotel is new, but it lacks decorations. 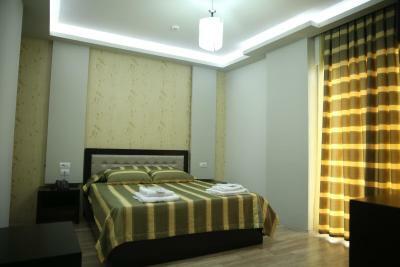 There are all the necessaries like a comfortable bed, TV and ac in the room but there is no decor around you. Also this propably might be just in my room, but the inner door of the second room could not be closed at all because the bed was to big and would not allow to close the door unless the bed was moved. I really do not understand who though that would be OK to put the bed in such position to make it impossible to close the door of the room. I hope someone takes notice and deals with such an embarrassing inconvenience. Breakfast was good but the kitchen was really slow to put the food out, made me wonder if the kitchen chef had any clue how many people were staying in the hotel the previous night. The people had to actually wait in line for some very basic breakfast, which could have been easily avoided. Some staff members were a bit coarse on manners. 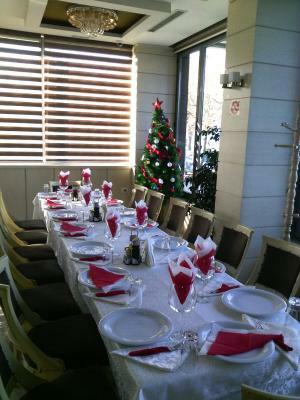 First day received a cold buffet breakfast, the next day a nice one table served, though needed to fight with a waiter for a coffee. I booked a triple room because the description was better and it was only a few dollars more, since we really wanted a r star experience. Receptionist said that a double was better and that the triple didn't have a balcony as advertised and convinced me to switch, but still kept same, higher, price. We were sent to room 207. Wifi didn't work, the shower door was missing, and the shower head was broken so water spewed out the side. This was not at all a 4 star experience. 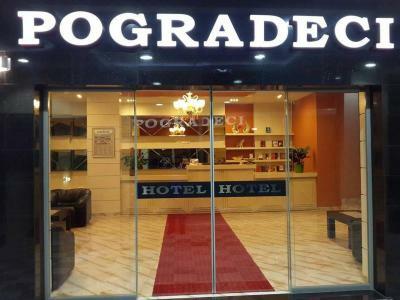 Stay somewhere cheaper and nicer when you visit Pogradec. Wish that coffee was included with the breakfast. breakfast not so good. The hotel restaurant had a really poor choice and high price. 2€ for half fresh tomato and half cucumber. 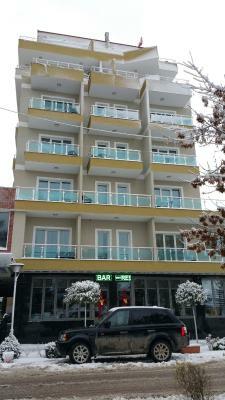 Its the first Hotel which i didnt fibd any thing to not like .